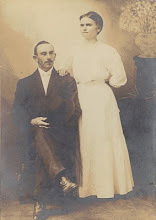 Daniel Dinkle Lightner and Polly Seward (sitting). Elvira Lightner (Hull) Allen and her daughter Mary Florence Hull Johnson. Taken 1879. Courtesy Bertha F. Johnson Papers, Sophia Smith Collection, Smith College, Northampton, Mass. I recently made a fantastic find: I descend from an Indiana abolitionist that ran a "station" on the underground railway in Indiana. I must admit that I couldn't be more proud of this discovery. I abhor the thought of slavery and to know that my ancestor took a very dangerous role in freeing slaves is a terrific piece of knowledge to hold. I came across this information when I found The Bertha F. Johnson Papers, an archival collection located in the Sophia Smith Collection, Smith College, Northampton, Mass. My good friend Google linked me with this archive after I conducted a "backdoor" search for Daniel Lightner through his daughter, Elvira. The collection included the above four generation photograph of the Lightner family and the recollections of their abolitionist activities as remembered by Daniel's daughter, Elvira. Elvira wrote a letter dated April 6, 1892 in response to questions asked her about her Underground Railway memories by an unknown author. She writes about how they secreted the slaves, how they transferred the slaves from "station" to station and some of the close calls the family had. She mentions some methods for secreting the slaves. "We did it various ways, sometimes put them between the straw ticks, and piled the feather bed on top and made all up nicely. The poor creatures would lie so still for hours that anyone unless they had known they were there, would never have dreamed it possible." Not only were the slaves forced to be quiet, but the method of travel was muted, too. "The horses feet would be muffled in thick cloth, and the wheels of the wagons or the tires of the wheels would be wrapped and wound with woolen so they did not make any noise." She also mentions that the fugitives and "conductors" were always armed, if possible, to defend themselves. She writes, "Old Uncle Daniel Jones used to say 'I don't believe in fighting, thee knows, Daniel [Lightner], but I'll hold the lines while thee shoots.' But he nor father ever had occasion to use firearms." In part II I'll talk about the close calls the Lightner family had while secreting slaves at their home. The photo and letter excerpts featured here are courtesy The Bertha F. Johnson Papers, Sophia Smith Collection, Smith College, Northampton, Mass.